So many of you have been very patient as I restructure my class offerings and map out my fall line up. Well, your wait is soon to be over! I'm really excited to share with you my new classes and schedule, which I will announce on Wednesday. I hope you will find something that will inspire you to try your hand at marbling (or dive right into the deep end). 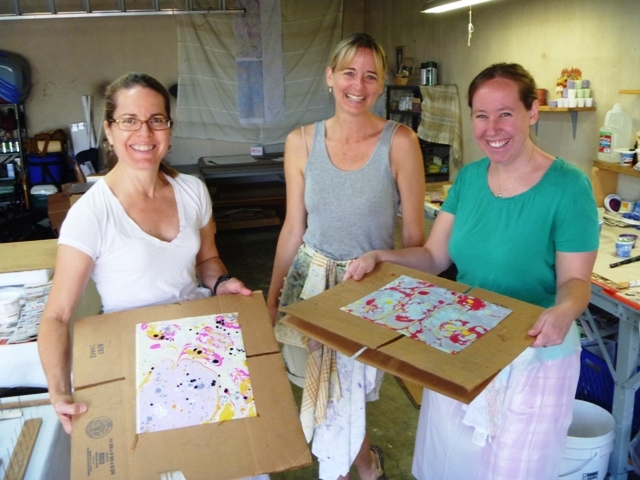 From intro classes to weekend immersion classes to open studio time, there is bound to be something to satisfy your marbling cravings. And I would love to have you join me in the studio! 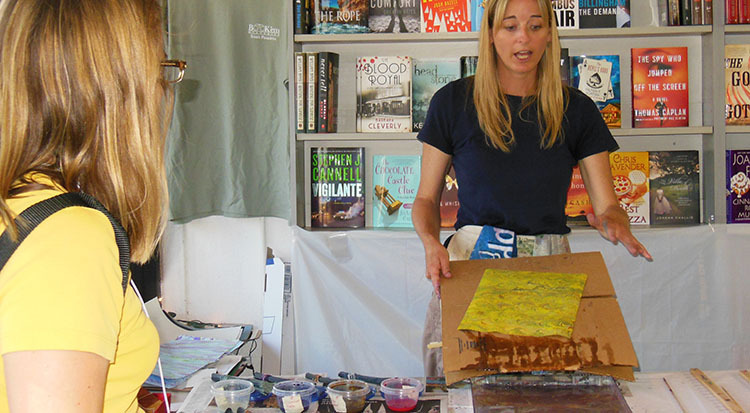 Also mark your calendars for the South Pasadena Arts Crawl on Saturday, October 27 from 6 p.m. to 9 p.m. where I'll be doing another marbling demonstration. This is a great opportunity to check out my teaching style. More details coming soon. And will someone PLEASE turn off the heat over here. Another week of 90s is upon us and it's getting REAL old.